A multi-million dollar deal between San Diego and Verizon will lay the groundwork for 5G technology, the mayor announced Monday. San Diego Mayor Kevin Faulconer, City Councilmember Chris Cate and San Diego Police Chief David Nisleit joined Verizon executives to discuss a partnership that will expand Smart City capabilities. Faulconer said the expansion would be at no additional cost to taxpayers while mentioning that permit times will be reduced to allow Verizon to install technology faster. “We can’t yet announce 5G for San Diego but [this deal] will build the foundation for a 5G network here,” Verizon Senior Vice President of Engineering Ed Chan said. Verizon first launched its "5G Home" service in certain areas of Houston, Sacramento, Los Angeles and Indianapolis in October. Then, just last week, the company rolled out its 5G wireless network in Chicago and Minneapolis. Residents in those market with a compatible phone could download movies in seconds instead of minutes, according to Verizon. 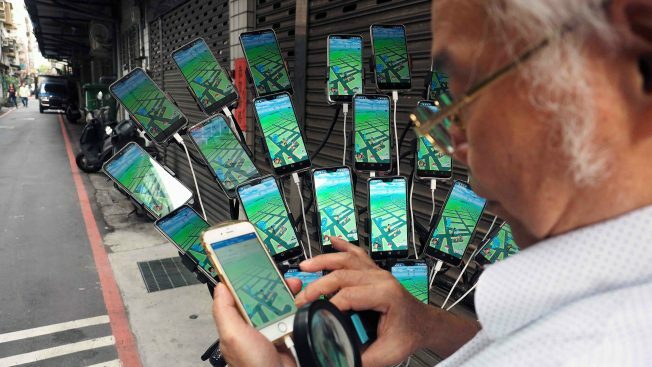 One model phone works with the network currently with another model phone expected to be released later this quarter, CNBC reports. The company estimates 5G will deliver speeds approximately 20 times faster than what is possible with a 4G system. 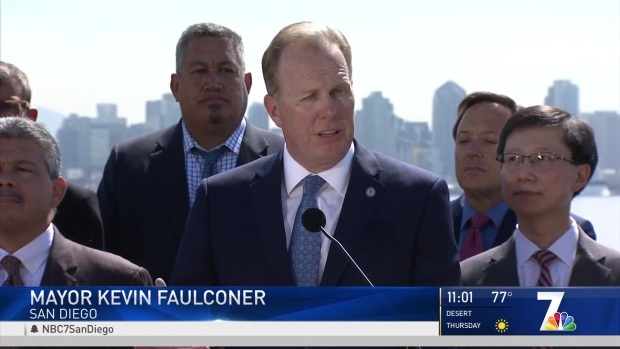 “We are together laying the foundation for a smart city and a smarter city for generations to come,” Faulconer said. The San Diego Fire-Rescue Department will receive 50 new tablets with the San Diego Police Department getting 500 new smart phones in the deal. "Just about everything we do has to do with wireless technology," Nisleit said. "That's what allows us to get there quickly and provide that piece of public safety that is needed." Nisleit said during a critical incident more communication through the new smart phones will increase public safety. Verizon is going to be installing new technology at 5 of the city's most dangerous intersections to help the city better assess those problem areas. "5G provides traffic analyzing capabilities for us to make traffic flow better in San Diego," Chan added. "If that information comes to the car a little too late that's a problem," Chan added. "But with 5G the car will get the signal quickly on a reliable network." NBC 7 reported on the technology for 5G being developed by Qualcomm in 2016.